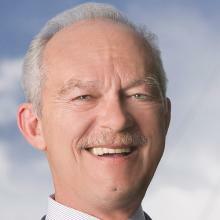 John E. Moye is a founding partner in the law firm of Moye|White LLP. The firm acts as general counsel for corporate, commercial and non-profit clients on a regional, national and international basis. The firm's areas of specialization include commercial transactions, banking, corporations, non-profit corporations, business planning, securities, taxation, estate planning, litigation and real estate. Mr. Moye is a graduate of the University of Notre Dame and received his law degree from Cornell University (with distinction). He is admitted to practice in New York and in Colorado. Mr. Moye has served on the faculty of Southern Methodist University and the University of Denver College of Law, where he also served as Associate Dean for Academic Affairs. He has been awarded an honorary Doctorate in Law from the University of Denver for his commitment to legal education. He lectures and teaches extensively throughout the United States in the areas of contracts, corporate, commercial, banking and partnership law. He has written several books, including legal texts on corporations, business organizations, partnerships, federal jurisdiction, and the Uniform Commercial Code. He is Past-President of the Colorado Bar Association and has been the Chairman of the Stapleton Development Corporation, the Denver Urban Renewal Authority, Downtown Denver, Inc., and the Colorado Historical Foundation. He has also served as a Commissioner on the Uniform Consumer Credit Code Commission for the State of Colorado and Chairman of the Board of Law Examiners. Mr. Moye and his wife, Pamela, live in Denver, Colorado.